1.2 How Does The Hair Re-growth Laser Work? 1.3 Which Hair Rejuvenator Laser Comb Should You Use? 1.4 How to Use a Laser Hair Therapy Comb? Many Americans, men and women, experience hair loss, and most of them are searching for the most effective hair loss treatments. There are many products on the market that promise to solve hair loss problems. Some of them are effective, while others are not. Lately, there is a new product invented to treat hair loss effectively: Laser Hair Comb or Low Level Laser Therapy (LLLT). Laser Hair Therapy is a painless, chemical-free, non-invasive treatment for hair loss. Learn all about this new hair restoration therapy by reading this article. For many decades, lasers have been used in different types of medical modalities. In dermatology, for example, lasers are used to resurface the skin. A special type of laser creates a wound on top of a layer of skin in order to initiate the growth of a fresh new skin layer from underneath. Lasers are also used as treatment for carpal tunnel syndrome, as an aide for wound healing and as an adjunct to various liposuction procedures. Today, there are now advanced types of lasers that take a “wound-less” approach. The lasers used in Laser Hair Comb are of these kinds of lasers. With this hair loss treatment device, there is neither cutting nor any burning sensation. The lasers on this device merely shine on the scalp. It was in the 60s and 70s when the relationship between low level lasers and hair growth was first discovered. In that time, there were many studies conducted to evaluate the effects of low level lasers on living tissues. In one study, the researchers experimented by applying lasers to patients that had leg ulcers. Surprisingly, they found that hair growth started in the areas treated by the low level lasers. After further studies, they have concluded that low level lasers stimulate the growth of hair follicles. How Does The Hair Re-growth Laser Work? The laser hair comb uses a low level laser therapy that has been tested and proven to stimulate increased blood flow in the area it is applied to. Good blood flow to the scalp is necessary in the hair restoration process, because blood is the medium by which the hair receives the nutrients that it needs to grow healthy. Moreover, the comb’s red light lasers travel into several layers of the scalp tissue without harming it. This therapeutic light is the absorbed by the cells and it stimulates them to produce energy. This process of stimulating the production of energy at the cellular level improves the cell function. Damaged or dying hair follicles are consequently repaired. Which Hair Rejuvenator Laser Comb Should You Use? This is the most popular brand of laser hair comb. This is the first brand to be authorized by the Food and Drug Administration (FDA), which means that this laser comb is indeed reliable. In as early as 3 months of consistent use, results can be observed. People who use the product say that they experience thicker and healthier hair. Although this brand is the most expensive one, many satisfied customers testify that it is worth every cent. Moreover, they offer a thirty day period money back guarantee. That’s an assurance that this product does what it says it can do. This product comes half the price of HairMax Laser Comb, but is not as easily obtainable. Many people say that Sunetics is a lot more powerful than many other laser hair combs because of the amount of laser modules that it produces. But many doubt this because the product only has one row of lasers and many critiques have said that the device is unstable. Moreover, the fact that it only has one row of lasers means that you would have to spend a longer time combing your hair with it compared to other products. Many customers who use the product have observed results as early as 5 months of use. Among the 3 brands mentioned here, this is the least costly. This product is one of the most efficient laser hair brushes on the market, but has received mixed reviews from customers claiming that it worked excellently or not at all. Among the 3 products mentioned in this article, this product takes longest before one can see results. This is why some customers use this laser hair therapy together with other hair loss products. If used together with other hair loss treatment products, results can be seen around 2 to 3 months. How to Use a Laser Hair Therapy Comb? Laser Hair Comb products can be used at home. These products generally have directions for use. Most of these laser hair rejuvenator combs are battery operated. Once you have the batteries placed, simply turn the device on and hold the teeth of the comb against your scalp. 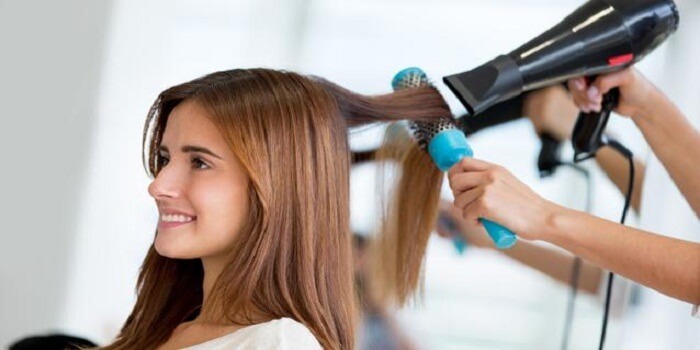 Each manufacturer has suggested length of time that you should hold it against your scalp for. Usually, it’s around 4 to 5 seconds. Then you move the comb to the next spot on your scalp at a distance of 1 inch from the first spot. Repeat the process until you have combed your entire scalp. The whole process usually takes around 15-20 minutes. For best results, you should use your laser hair comb at least 3 times a week and make sure that you follow the manufacturer’s directions carefully to avoid any untoward side effects. Besides consistent use of the device, it is best if you continue to keep your hair healthy by taking the necessary vitamins for strong and healthy hair, and avoid the use of any harmful hair products and hair treatments. Laser hair restoration appears to be the wave of the long term of medical hair replacement methods. Merely place, the laser uses a confirmed efficient wavelength of mild straight on the scalp as a way to stimulate blood movement. The stimulation delivers an elevated supply of important vitamins and naturally promotes hair re-growth on the head. The elevated level of important vitamins supplied straight to the hair follicles causes an all-natural stimulation to start hair re-development. Laser hair restoration has confirmed to be highly efficient when utilized in with each other with all-all-natural herbal supplements particularly formulated for hair rejuvenation, along with topical lotions containing Minoxidil, such as Rogaine or Propecia. There are however various kinds of laser hair restoration methods, and some of them are more efficient than other people are. Reduced Level Laser Therapy (LL LT) is a laser-primarily based therapy procedure that uses phototherapy. This soft laser treatment has been confirmed to improve the well being of current hair whilst stimulating the follicle for hair re-development. The laser stimulates and heats the scalp which tends to make the follicles broaden. With elevated blood movement, more oxygen and vitamins are sent to the scalp which enables the all-natural rejuvenation of healthy hair development. Laser Comb is an additional therapeutic medical remedy in the field of laser hair restoration. This hand-held device uses phototherapy when applied over the scalp. Having the same impact as the Reduced Level Laser Therapy, the Laser Comb is generally utilized in conjunction with other medical therapeutic treatments. In addition, the Laser Luce is a confirmed efficient laser hair restoration procedure that also increases blood movement to the scalp. By stimulating hair follicle to successfully absorb more important vitamins, the laser procedure tends to make the hair grow more powerful. Usually, this therapy requires numerous periods for good hair rejuvenating results. While laser hair restoration has its place in helping males rejuvenate lacking hair on the balding spots and thinning locations on the scalp, they generally are most efficient when utilized with each other with other treatments. Some of these treatments consist of using all-all-natural herbal supplements, using anti-hair reduction shampoos and consuming a balanced more nutritious diet plan. Numerous of the all-all-natural herbal supplements, utilized in conjunction with hair restoration, consist of the components Noticed Palmetto, Biotin, Magnesium and Vitamin B6. These herbal properties can assist male’s stability their hormone ranges and reduce the amount of DHT (dihydrotestosterone} they are forming in their body. DHT, at excessive ranges, has been confirmed to trigger hair reduction in males. Anti-hair reduction shampoos contain numerous of the same herbal properties as the supplements, and can be utilized as an efficient instrument for stimulating hair development. By massaging an anti-hair reduction shampoo straight into your scalp, you can strip away any accumulated DHT locked great in the follicles. When DHT is no longer present in the hair follicles, hair re-development generally begins restoration immediately. When searching for a fast answer to reverse your hair reduction on the scalp of your head, laser hair restoration has been confirmed efficient. You can search for a certified hair rejuvenation clinic in your neighbourhood or on-line. With present day reducing-edge technology, along with clinically confirmed anti-hair reduction goods, there is no reason to be bald. Laser hair reduction therapy is the fruits of numerous researches in the hair dermatology department. Doctors relied on this technique in purchase to treat gentle tissue accidents. Now, they have expended its spectrum use to reach hair reduction therapies. Technological advancements have launched different methods of re-growing and halting hair from falling, but this recent technique is the most successful of all. Studies have proven that losing hair is a typical expertise. Everyone can shed an amount of hair every working day. It is a healthy trend. Individuals have a tendency to shed between fifty to one hundred head hairs per working day. Despite that, you may discover an uncommon hair reduction which is a harmful sign. It signifies that your hair is growing in an harmful way. Bad diet and medicines have been proven to be the main reasons, amongst others, for hair fall. Laser hair reduction therapy functions in a remarkably simple way. It applies a reduced driven laser on the scalp with full protection to the skin. These carefully created lasers go through the scalp to provide their bio-regenerative power directly into the hair follicle. This stimulates the already existing hair follicles in purchase to re-grow hair. This procedure operates like that which is utilized to diminish post operative aches. The hair requires certain mild wavelengths to properly grow. Laser utilizes the exact same mild wavelengths to stimulate the blood flow. The good thing about laser hair reduction therapy is that is available in almost every medical way. You can have it both at house and in clinics. The household remedies require some particular devices that are different in phrases of use than these of the clinics. Doctors recommend this therapy for both bald and these who are encountering uncommon hair fall. Surveys showed that hair restoration with laser lasts much less than two thirds of the traditional techniques. You can have laser hair therapy through different methods. There are numerous household devices available that function relatively in the exact same way, but they have different outcomes. You have to have a prescription from an expert for full security remedies. The doctor ought to outline the dimension of the gap to satisfy with the dimension of the inserted grafts prior to beginning therapy. Laser hair reduction remedies usually function in the exact same way. They use the some particular mild wavelengths in to enhance the tissue development. This allows nutrients to reach the dormant hair follicles in purchase to revive them. Doctors and specialists extremely recommend the use of hair reduction remedy with other remedies. In this way, individuals are most likely to achieve the very best of the outcomes faster. There are numerous laser hair reduction devices available out there in the Internet as nicely as in local shops. None the much less, you ought to always consult a professional prior to taking any additional actions to avoid any drawbacks. Laser hair therapy can show you how effective it is inside six months. There are hundreds of thousands of people are now relying on this new technology to re-grow their hairs. Getting laser hair treatment done on your body is a process that can take a while, but it is well worth it. If you are worried about cost and the time it takes, then you simply need to follow these tips to help make the process go faster and help you be more comfortable with the process, and how much it is costing you. As you may know, laser hair removal is not done over one session. Often it takes several sessions, spaced weeks apart. Each session can run around 0 and if you do 10 sessions, that is, 000 you have paid to have your hair laser removed. However, if you want to save money and time, there are some things that you can do to ensure that you are able to read your skin and hair so that there are fewer problems when you are getting the hair removed. 1. On the day that you are going to have a laser hair removal session, make sure you wear clothes that are loose fitting and comfortable. Depending on the area of the body you have treated, it will be a tad red, it may be itchy and there may be some slight swelling that will last about three days. To prevent irritation, do not wear tight clothing. Loose clothing will feel much better when you are leaving the clinic. 2. Do not go in any tanning beds or have tanning creams put on your skin within six weeks of the treatment. Remember, the laser hair removal process works best when there is light skin and dark hair. If you darken your skin, it will take longer to find the follicles and remove the hair, and that will cost you money. 3. If you have darker skin, you can apply Ultraquin twice a day for four weeks leading up to the treatment. This is a temporary bleaching cream that not only helps quicken the laser process, but can also prevent bleaching and darkening of the skin. It should be noted that after using this cream, your regular skin colour will return within about three to six months, roughly how long it takes to go through a typical laser hair removal treatment. 4. You should also stay out of the sun for about six weeks before the treatments for the same reason as why you should not tan. 5. If you are going out, get a UVA/UVB sunscreen that is SPF 30 or higher and it should be applied to all the areas of the skin that are going to be exposed. 6. Do not tweeze, bleach or wax the area that you are having treated. You cannot do any of these things to the area within six weeks of your treatment. If you do any of these, you can leave open pores that the laser may target, which can cause problems on the skin. You can shave but you cannot shave within three days of the treatment. Get weekly giveaways, free e-books, tips from health experts, private health videos directly in your inbox! None of the statements made on HairYouth.com have been reviewed by the Food and Drug Administration (FDA). The advices and products mentioned on HairYouth.com are not intended to diagnose, treat or prevent any diseases. You should consult with your doctor before using any product mentioned on HairYouth.com. We may receive commission or other income on certain products. However, this does not impact our reviews and comparisons mentioned on HairYouth.com. We try our best to keep things fair and balanced, in order to help you make the best choice for you. Any and all trademarks, logos, brand names and service marks displayed on HairYouth.com are the registered or unregistered Trademarks of their respective owners.